The ulnar nerve is a major nerve that runs through the arm. It is responsible for movement and sensation in the forearm and the hand. It allows intricate hand movements like writing, typing and holding objects, all of which are critical in day to day life. The ulnar nerve travels through a small tunnel at the back of the elbow called the cubital tunnel. It is well protected within this tunnel, but can get compressed at times, resulting in cubital tunnel syndrome. Patients with cubital tunnel syndrome experience tingling along the inner side of the forearm, weakness in the hand muscles and pain along the inner side of the elbow. A physical therapist at Monmouth Rehab Professionals in South Amboy, NJ will conduct an initial examination to identify the cause of pain and nerve compression. A series of tests are performed to identify restrictions in sensation and muscle function. Additional tests may be required to determine the extent nerve and bone abnormalities. 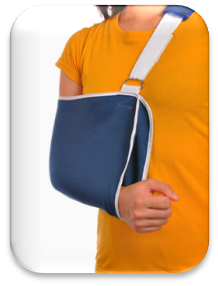 An x-ray of the elbow may be conducted to rule out loose bone fragments compressing on the ulnar nerve. Range of motion exercises to increase mobility without pain or discomfort. Exercises to encourage intricate movements of the hand and movements such as twisting the forearm (pronation and supination) are emphasized. Strengthening exercises for different muscle groups. Examples include bending and straightening the elbow, rotation movements of the forearm, squeezing an object in the hand, and smaller objects between fingers. Gentle nerve stretching exercises to reduce compression and increase circulation to the nerve. Advanced techniques include massage, mobilizations and manual therapy under the expert supervision of the physical therapist. Physical therapists at Monmouth Rehab Professionals in South Amboy, NJ help restore and improve function by increasing motion in the elbow, reducing pain and strengthening the muscles in the hand. The first step is the reduction of pressure on the ulnar nerve within the cubital tunnel. The therapist will also help patients avoid activities that trigger pain and discomfort. 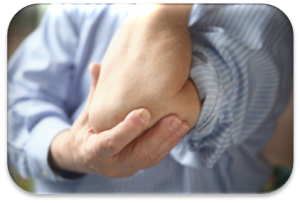 Cubital tunnel syndrome can be a painful condition that can limit the ability to perform daily tasks. Physical therapists can offer simple solutions and exercises to increase joint movement while reducing pain and irritation of the ulnar nerve. On behalf of our entire team, we want you to know that we are committed to helping you live a healthy, pain free life. If you have any pain or restriction that affects daily activities, we can help. We always work closely with your physician and your insurance company to make sure you have the best care possible. Physical therapy will change your life. All you have to do is to give us a call. This entry was posted on August 1, 2017 at 5:10 pm. You can follow any responses to this entry through the RSS 2.0 feed. You can leave a response, or trackback from your own site.